Rising local star Your Girl Pho kicks off a West Australian tour this week in support her new single I Can’t Take It. The popular live act also known as Phoebe Gunson will take her smooth sounds to the South West this weekend with a show at Settlers Tavern in Margaret River on Friday, August 24 and The Prince of Wales in Bunbury on Saturday, August 25. She will then return to Perth with shows at The Bird on Wednesday, August 29 and The Aardvark on Friday, September 14. Next up Your Girl Pho will tour around Australia and make her first trip to Asia for Singapore’s Music Matters. 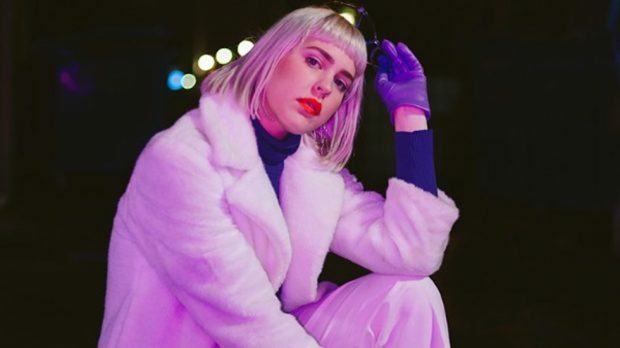 It comes hot on the heels of a massive year, with supports for the likes of The Avalanches, Lady Leshurr, Post Malone, Alice Ivy, Kllo and more, while she appeared at VOGUE Australia’s Art Ball, Festival Vaiven (MX), Falls Festival and Groovin The Moo. It also follows the big tour for recent single Feelen through Australia and Mexico with a sold out hometown show earlier this year. I Can’t Take It is out now. Your Girl Pho plays Settlers Tavern in Margaret River on Friday, August 24, Prince of Wales in Bunbury on Saturday, August 25, The Bird on Wednesday, August 29 and The Aardvark on Friday, September 14.